You can have an unforgettable golf experience on eight of Myrtle Beach’s finest golf courses with our Premiere Package — just one of the many Myrtle Beach golf packages we have to offer you. All of our packages can be customized and accommodations can be added. Please call 800-422-1587 to speak with a golf specialist about any of our current Myrtle Beach golf packages. The Premiere Package includes lunch and a draft beer or soda with each round. The courses you can play include Arrowhead Country Club, Prestwick Country Club, Shaftesbury Glen and John Daly’s Wicked Stick, TPC of Myrtle Beach, Founder’s Club of Pawleys Island, International Club and Indian Wells. Must play three or more rounds for best rates! Prices include cart and tax. 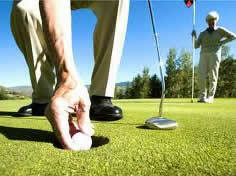 We offer accommodations, greens fees, cart and tax included per golfer in our Premier golf and lodging package deals. Accommodations can be made from your choice of the following: oceanfront condos, premium oceanfront condos, Barefoot Resort Yacht Club & North Tower, Barefoot Resort Golf Court Villas, Executive Beach Homes, The Legends Golf Resort, Myrtlewood Villas, River Oaks Golf Villas, The Commons at Brunswick Plantation, True blue Golf Villas and The Grande Villas at World Tour. The North End Elite special, another of our Myrtle Beach golf packages, allows you to choose 2 rounds from Barefoot Dye, Love, Fazio or Norman with any two of the Glens Group Courses including Glen Dornoch, Heather Glen, Possum Trot or Shaftesbury Glen. A golfer’s dream vacation — 4 of Myrtle Beach’s Major Courses! Play 2 Glens + 2 Barefoot Courses…a Golfer’s Paradise! There should be no more than a 4 to 1 teaching ratio with 2 to 1 being something to look for and 1 to 1 being ideal. 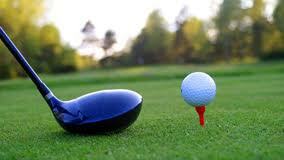 The golf school’s pros should be highly qualified teaching professionals that are experienced in golf. The golf school should have accommodations included in the price with their location on or near the golf course where you’re taught. 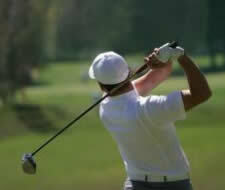 The school should provide a specific lesson plan for your swing that is tailored specifically for you. Think of the Myrtle Beach golf school as a vacation. So be sure the accommodations and surrounding area fits well with your lifestyle off the course. Look for golf schools that provide unlimited golf after your teaching session is over. Check their website to see if there are testimonials posted from their previous students. The Internet is a great place to research the golf schools available in the area that meet your needs. Price will obviously play a big part in your school of choice so be sure to set a budget before you start looking for a golf school. There’s a lot of competition between the golf schools for your attendance so expect them to cater to you when you call and inquire about their program. The golf school should be willing to accommodate your golfing needs whatever they may be. If you already have your accommodations and are just looking for tee times we have some tee time specials worth checking out. We have many golf packages that offer multi-round discounts on Myrtle Beach tee times. Below is a listing of them. The Premiere Package – Choose 3 or more rounds on 8 courses from $50-127. North End Golf Trail – From $122-212 for 3 rounds, $250-400 for 6 rounds. The Platinum Package – More You Play, Less You Pay Per Round: Golf Only, 2 rounds for $119-312, 3 rounds for $175-453, 4 rounds $223-540, 5 rounds $266-614. The Challenge Select Package – From $162-303 for 3 rounds plus free lunch at each course. Addtl. rounds $54-101. Mystical Package – Pkg. #1: From $153 to $282 for 3 rounds and lunch. Pkg. #2: From $273-$312 for 3 rounds, lunch, and replay. You won’t find any better Myrtle Beach tee times than you can get from MB Golf. Give us a call if you have any questions about our Myrtle Beach tee times. 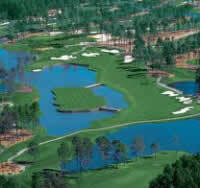 Our Myrtle Beach golf packages are sure to please you no matter what your goal in playing is. We have the best selection of courses and always at the best rates available — we guarantee it. 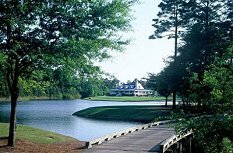 We invite you to a taste of the Great North Strand Golf Courses so that you may savor the flavor of the outstanding layouts that are available in the fabulous North Myrtle Beach Area of the Grand Strand. Choose from Black Bear, Brunswick Plantation, Carolina National, Carolina Shores, Crown Park, Cypress Bay, Diamond Back at Woodland Valley, Eagle Nest, Meadowlands, Pearl East & West and Valley at Eastport. Golf prices include cart and taxes. Call 800-422-1587 to speak with a Golf Specialist. The Glens’ Group are some of the most requested and popular courses in Myrtle Beach. Courses in these Myrtle Beach golf packages have been awarded Zagat’s Top Golf Courses “South Carolina’s Top 10″ (Glen Dornoch), Golf Digest’s Places to Play 4 1/2 Rating (Heather Glen), “Myrtle Beach’s Most Spectacular Golf Finishing Holes” (Glen Dornoch), “Myrtle Beach’s Best A-1 Bent Greens” (Shaftesbury Glen), Rated “Friendliest course on the Strand” (Possom Trot), and “Top 60 Golf Courses in Myrtle Beach” by Golf Digest (Heather Glen). Golf prices include cart and taxes. All of our Myrtle Beach golf packages can be customized. Rates varied based on date of arrival. Call 800-422-1587 to speak with a Golf Specialist. Whether you’re looking for classic layouts, championship challenges, or a weekend oasis of golf, you’ll find it with our Myrtle Beach golf packages. From rolling links to wooded fairways, water challenges to impeccable greens, Myrtle Beach offers a golf experience you’ll want to come to time and time again. Some of the best golfing of the year can be had right now when the weather is gorgeous all day long and the crowds have not yet arrived to the area. Did you know you can book your Myrtle Beach tee times, including choosing the courses you prefer to play, right on our website yourself? You can reserve tee times online and choose from many different packages or pick your own tee time, select a date, list how many players are in your party, and how many rounds you want to play. Then you select your preferred course and Myrtle Beach tee times and it gives you the price and books your reservation for you. It’s as simple as that! Once you get your Myrtle Beach tee times booked you’ll need accommodations so you can recharge until your next game. We have an extensive selection of luxurious and well-equipped yet affordable condos from which you can choose. From your oceanfront condo you’ll have incredible views of the ocean and a balcony to kick back and relax on. Or if you prefer the fairway view condos you’ll be able to plan your game strategy ahead of time. Spend your days playing golf and then spend your evenings relaxing in our pools, hot tubs and Jacuzzis before going out to take part in the nightlife only found around Myrtle Beach. If you love the sport of golf but have never taken a golf vacation now is the best time ever to try it out. You can play premium Myrtle Beach golf at very affordable rates on tee times, packages and accommodations for the whole family. With Direct Air flying into Myrtle Beach from many different areas it’s cheaper than ever to take a Myrtle Beach golf vacation. Until you’ve stepped onto our championship courses – and we have over 110 of them – you’ve not known how thrilling playing Myrtle Beach golf can be. Come and play Myrtle Beach golf once and you’ll be coming back to play forever. We promise! If you’ll be in the area on April 7, 2012, why not come out and support the Murrells Inlet 2020 MarshWalk Masters. Put on your knickers and putt yourself through the Murrells Inlet Marshwalk stopping at every restaurant along the way. Play the hole at each of the nine stops on the tour and the lowest score wins! First place prize for the best score is $500. Prizes will also be awarded for 2nd and 3rd places and for the best dressed golfer. Enjoy the beautiful Marshwalk views and enjoy drinks and appetizers while you play. An after party and awards ceremony with live music at the Dead Dog Saloon will begin at 9 pm. The registration fee is $20 per player. Proceeds benefit Murrells Inlet 2020. Call 843-357-2007 for more information. A common misconception among beginning golfers is that you have to be a near professional golfer to benefit when purchasing Myrtle Beach golf packages. Nothing could be further from the truth. No matter what level of golfer you are – from brand new beginner to seasoned pro with more than few trophies – we have Myrtle Beach golf packages that will have you playing on courses that will challenge you just as much as you are looking for. Our Famous Masters Package will give you 4 nights/5 rounds as low as $333 or 6 nights/7 rounds as low as $454. With 14 championship courses to choose from, golfers of all skill levels can find their match. Choose among courses including Arnold Palmers’ Kings North, Jack Nicklaus’ Long Bay, Aberdeen, Blackmoor, Litchfield, River Club, Southcreek at Myrtle Beach National, Tradition Club, Wachesaw East, Waterway Hills, Pawleys Plantation, West Course at Myrtle Beach National, Wild Wing Avocet, and Willbrook. Or try The Grand Slam and play 4 of the best courses in the area. 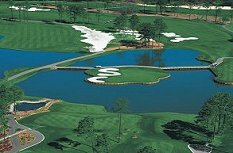 Combine 2 rounds at Barefoot Resort Norman, Love, Fazio or Dye with True Blue and Caledonia and you have a dream golf vacation of 4 Major Courses in Myrtle Beach. Discounted package rates are offered when you book any combination of 2 rounds from True Blue or Caledonia or one of each with any combination of 2 rounds from Barefoot Resort Norman, Love, Fazio or Dye Courses or 2 on the same course. Spring has nearly arrived and for those in cold weather regions, that means it’s time to pull the clubs out of storage and make your reservations for Myrtle Beach golf. While we’re sure your spirit for the game hasn’t diminished any over the winter season, you will need to work your way back into golf after your long hibernation. Luckily for you, we’ll give you some tips to play exceptional golf this year once you come out of hibernation. Clean your grips with warm soapy water. Check to be sure they’re still in good condition and if you haven’t in awhile, maybe it’s time to replace them. Begin stretching on a daily basis to get yourself limber enough to be ready to play Myrtle Beach golf once you’re back on the course. It’s always a good idea to continue stretching on a regular basis through the winter but we realize how easy it is to fall into bad habits, saying you’ll catch up in the spring. Well, now’s the time to catch up! If you wanted to get new clubs, now would be an ideal time to do that. You can update to the newest technology and make a huge impact on your game. Take the time while you’re shopping to have your golf swing analyzed. Imagine the surprise of your friends and family this year when you hit the Myrtle Beach golf course with the most outstanding game you’ve ever played in your life. When you live in coastal South Carolina winter does not mean the end of golf. What makes this a favorite place to retire to is not only the temperate year round climate but also the ability to play golf 12 months a year with year round tee times! Avid golf lovers don’t mind putting on a jacket to play on those occasionally chilly days. They also know where to go to get the best tee times in Myrtle Beach on the courses they prefer the most. Sure, you can book tee times in Myrtle Beach at other resorts but you won’t find the deep discounts on tee times in Myrtle Beach that we offer. Check out our website for tee times and prices on courses that you will be thrilled with. If you have any questions about our packages give us a call and our professionals will be happy to answer them to your satisfaction. And because you can’t spend all of your waking hours on the golf course, why not check out the Murrells Inlet Community Theater presenting “Southern Comforts” by Kathleen Clark. In a sprawling New Jersey Victorian, a taciturn Yankee widower and a vivacious grandmother from Tennessee find what they least expected — a second chance at love. Their funny, awkward, and enchanting romance is filled with sweet surprise and unpredictable tribulation. The play is directed by Anita Grottenthaler. These shows are always sell-outs so reserve your tickets today. Call 843-651-4152 for ticket reservations. The Murrells Inlet Community Theater is located at the Community Center on Murrells Inlet Road. 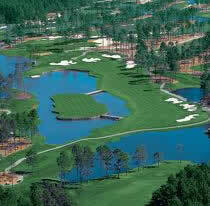 If Myrtle Beach is your chosen golfing destination for this year’s vacation you will not be disappointed. Here you’ll find world class golf courses, beautiful sunny weather and gorgeous beaches. Whether you are simply looking for golf at any of the golf courses in Myrtle Beach, or you are also in need of accommodations, there are plenty of options to choose from. Myrtle Beach has been a golfing destination since the late 1970s and it’s no wonder with over 110 courses to choose from. There’s a perfect course to fit your skill level and your budget. So when you are ready to come and enjoy yourself in Myrtle Beach, give us a call at MBGolf and we’ll set you up. Whether you have a favorite course designer or level of play we have golf courses in Myrtle Beach to best fit your needs. You can research the courses and what they offer, right on our website. When selecting the location for your next golf outing, look no further than the courses we have to offer right here in coastal South Carolina. 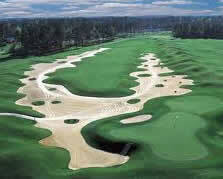 In addition to sand and sun, we have a fabulous repertoire of golf courses in Myrtle Beach that will astound you. Many of which are designed by award winning designers and have themselves received many awards. No matter what your skills are or what kind of course you prefer to play, you will find the best golf course to suit your needs right here in Myrtle Beach.